I am thinking of applying to Dubai for a Canadian elite boutique that has a global presence for an internship. I have heard that the experience there is invaluable compared to their New York and Toronto office where the work for an intern is “mundane”. Do you think it would be a good idea to summer in Dubai rather than North America if the experience is better along with a reputable firm? That sounds very questionable to me because the work in places like Dubai is almost always a step down from the work in places like NY, London, and even Toronto. But if it’s easier for you to apply and win an internship offer in Dubai, sure, go ahead. About to start my A-Levels. Just read your articles and found really good things about my career, i am really interested in getting into investment banking but i am confused about how would i make my way to TOP INVESTMENT BANK. Any help? I am a student in Canada, and currently completing an internship as a sales & trading intern at one of the big-5 banks. I was wondering how faster would it be to get into these(GS, JP, plus Citi, HSBC, Barclays) first via Dubai and then move back to Canada or USA? or maybe just completing an internship in Dubai in Investment banking help? I’m not sure if it is easier to get into Dubai if that is what you’re asking. I think it can be challenging to move back to Canada/USA from Dubai unless you are a Canadian/US citizen with background of deals in such areas. But yes if you’re just talking about an internship, yes that can help. Hi- I am an Arab born & raised in Saudi. I am studying Accounting & Finance at the top uviersity in the UK (made LSE No.2). I interned in Audit at one of the Big 4 & I am going to start your IB course. What do you think of my chances of getting into a bugle bracket in Dubai? Hey very helpful. 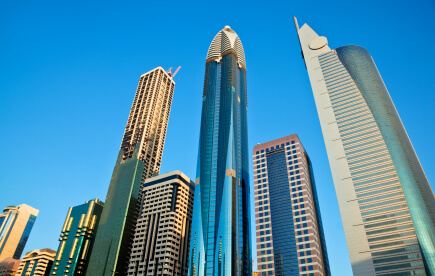 If you were to categorize the top 5 Investment banks in Dubai who would they be? What are some great employers in Dubai is basically what im trying to find out. Culture and compensation are important. Tough to say – in terms of bulge brackets, probably the ones listed in the article (GS, GS, plus Citi, HSBC, Barclays) and then there are a ton of boutiques. European banks tend to be a bit stronger in Dubai due to geography, but it changes from year to year. I can ask, but this interview is from a few years ago so it may be difficult to reach the interviewee. Can you please comment on the role of interns at Dubai BB? I know the offices are smaller and less active than hubs, so I was curious to know how this impacts what interns are doing? What kind of tasks do interns spend most of their time doing there, and is it different than NY internships etc? Readers may have better suggestions. In terms of dresscode (particularly during the summer months), would one be expected to wear a full suit to/in the office? Or would business casual suffice? Hi there,I am trying to get into Investment Banking in Dubai. I have an actuarial Degree with two years of work experience in South Africa. Investment is more my thing though I worked in Actuarial Health. I am glad that I found this website because so far everything I have read has been very helpful. I am Kenyan and I have a few Kenayn friends who have been lucky to get jobs easily in the banking indusstry but i don’t know of anyone working investment banking. I don’t really know where to begin with it. Some advice. Most importantly… they will not hire ppl anymore who are not form their country.. this is coming from the top..
Its best to stay in US and UK and not mess up your career and get some resume damage..
it will be very difficult to get a job in US or UK again after Dubai..even with an international name.. cuz.. your skills become useless and cant be used in those sophisticated markets..
and no future.. think 5 time before even thinking about it. seriously. I’m sure there’s some truth to that, but the reader here recruited recently and got in… so people are getting hired, even without being from the region. If you manage to join a BB in Dubai, is it easy afterwards to go back to the U.S. or Europe (regarding exit opps)? Or is a rotation/permanent move in your firm needed before looking for exits opps ? It’s difficult unless you’re very junior – esp. as you move up you will get pigeonholded into Dubai roles. Would it be easy to move to Dubai (From NYC/London) at the VP level, or is it best to have a regional focus early on? It depends on the role, your experience and skills. I do think having a regional focus early on would help. Hey. I was quite interested in making a move to Dubai as well. You mention that it is easier to make an internal move at a junior level, opposed to a more senior level. In regards to this, say, you spend a year in Dubai, realistically how hard is it to ask for a transfer request to the UK? I don’t see why the UK would say no, especially if you’re willing to start again from scratch as a year 1 analyst. Yes I think you can potentially do that when you’re at a junior level. It also depends on the firm and hiring needs. It shouldn’t be too challenging in the first few years of your career. I wouldn’t pester them, but you may want to give them a call to follow up in ten days after your last contact. Be persistent. If they tell you to wait, then be patient – you can’t rush the process. Forgive me if this seems like a stupid question but is investment banking a possibility for females in Dubai? Yes, more so there than in Saudi Arabia. Hi Brian your website is really helpful, I read a lot of your articles, however I haven’t come across any article related to Singapore, another major Financial Centre in Asia Pacific. I am wondering whether you can talk about investment banking, etc. in Singapore. I think it will be great for Asian readers like me. Thank you so much. Singapore is coming up. Have a bunch of friends but they are busy so haven’t had time to interview yet. Broadly speaking it’s all about SE Asia and the dominant industry is shipping and transportation with a few others. More limited to Asia / SE Asia in terms of exit opps. hi, can anyone tell something about hours in dubai ibd? my friends who work in a commercial environment always report how few hours are worked there, and that during ramadan barely anyone makes 40 hours, including bankers. Untrue. I’m 3 days into my internship and I’ve already hit 40 hours. I was just wondering, do banks run background checks that look into parents? Like if my parents have a criminal record will it affect me? Really enjoyed this interview even though I have no interest in pursuing Investment Banking in Dubai. I have a question that is unrelated but know you will be able to provide some good advice. I am about to begin my senior year at a non-target school. I am not a finance or account major but am a double major in a business/sociology hybrid and english. I have interned at a top financial services firm (selling life insurance), in PWM at a reputable firm, and currently am interning at a small financial consulting firm on growth/recapitalization and acquisition financing. I am determined to pursue investment banking upon graduation and am considering searching for another internship during my fall semester. I have two questions on this matter. 1) Do you think it would be more beneficial to focus on school and improve my GPA (which is 3.4) or try to find an internship. 2) I have found a few hedge funds and asset management firms that are looking for interns through my school career office, but have found a few small boutiques that offer investment bank services. One in particular has a bio, e-mail, and phone number listed of the Managing Director in charge of their corporate finance group. Would you advise me to call him, and point blank ask for an internship? Any advice on the above matters would be greatly appreciated. Thank you for your time and help, your website,interview guide, and products have proved EXTREMELY helpful to me thus far. 1. Find internship, that will trump any improvement in GPA. 2. Apply for internships at HFs and asset managers, but yes definitely contact the MD at the boutique and ask if he takes interns and make your pitch. Off topic but I haven’t seen this addressed anywhere on the site. Is it essential to put your address on your resume? If you are applying for a job in another city or even country it can be hard to get past gate keepers or have your resume taken seriously if you don’t have a local address. These days you can rent a phone number for every area via the internet and have calls redirected to your normal number. So, can you not rent a number for Hong Kong for instance, and only put your name, email and the HK phone number. You’ll have to fess up eventually that you’re not in the country (or maybe even not if they never actually ask), but only after they’ve seen your resume and are interested. Interesting article. . .I have a friend that lived in Qatar and he loves to talk about how amazing both Qatar and Dubai are. I am an undergrad student in Memphis, Tn. How would you recommend I go about getting an internship in Dubai? Would the best way be to try to contact one of the before mentioned summer programs for London students? I would really embrace that opportunity! Sorry for the off-topic question. 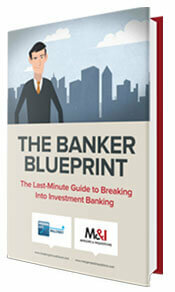 Do you have a reading list for investment banker? I couldn’t get an internship this summer so I would like to read some books about investment banking. What would you suggest? What about visas and legal issues moving to Dubai? Or is the bank sponsoring you? Banks will pay and sponsor visa if you get an offer. TK largely untrue about LSE. People get in with all sorts of degrees into front office finance from Anthropology to Zoology and everything in between. You need to have a compelling story. Why don’t any of you listen to whats contained in this blog. Your degree does not matter. Get good grades and go to a target school and apply. After that you are on your own. @Michael: I don’t get what you’re trying to say there. I already realize that no matter where you go, you have to be proactive in networking and getting interviews. I was more or less asking if recruiting at LSE grad programs are as bad as some people on the internet make them out to be. I wasn’t trying to ask something stupid like “is lse msc finance better than lsc msc finance & econ” or something. I have a question about recruiting and placement from LSE Msc programs. A lot of people are saying that if you don’t have previous finance experience, you might as well not attend if you get in. Is that true, or is it only true for the people that expect to just got a placement handed to them for showing up? In other words, can someone with no previous experience get a good IB job by going to LSE Msc finance if they network hard like you did? I ask because I have no experience but good grades and a 770 gmat and want to get into finance thru a top master’s. Don’t think that’s really true, just do a search here for London and you’ll see a story from a reader who got in without finance experience. Please don’t take this question the wrong way but are you of Middle Eastern ethnicity? As noted on this site and through my own experience, in East Asia being East Asian is in many cases critical to your chances of breaking in. Is this the same in the Gulf? Can folks from non-Middle Eastern origins but with connection to the place still make their way? He is, yes. There is probably less bias in the Middle East in terms of where you’re from / ethnicity than there is in East Asia because backgrounds at top schools in the US / UK etc. are highly valued in the region and language skills are not as important as in China/Japan/Korea. You still need some kind of connection to have a good shot, but overall it’s easier than East Asia for foreigners. 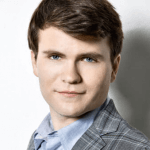 Really interesting article…. I will be going through recruiting in London in September and will apply to both london and Dubai. -Did you try applying to both the london and dubai offices of a same bank under a different account? most banks ask people to only apply to one office, but I figured they probably dont have any way to check if you did. Do you think it would be risky to apply for exemple to GS or MS in both London and Dubai? Youny, I didn’t apply to each bank more than once and I don’t suggest you do, they will find out at some point. MS allows more than one application but not to the same division.. so that’s an option. Alot of applications allow you to state first and second choice preference on locations, so that’s how I did that. Any information on how the internship was? Did you get valuable work experience and were you able to attend a training program in London? Did you get a return offer? Also – how long did the interview process take? Does it begin in April for summer internships? That seems quite late.